Home > Pineapple Brix. 1kg. 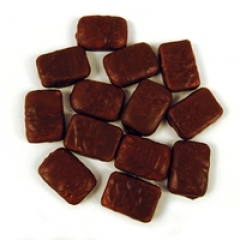 Bulk 1kg of delicious pineapple flavoured chews, coated in a creamy choc coating – one for Pineapple Lumps fans! This is quality NZ made confectionery that tastes great, and is not old stock. Rainbow Confectionery is manufactured in Oamaru, New Zealand.